Taper Week Ramblings: runDisney Half-Marathon in One Week | Fit Girl. Happy Girl. When I ran my first half-marathon I didn’t set a time goal except to finish the race. I spent the week before the race going through taper madness and running through every possible race-day scenario I could think of. All of these questions were racing through my mind as my mileage decreased and my free time to think increased. They were also questions and assumptions based on my “perfect” training when everything was in my control. Then, I looked at the weather- a September nor’easter was expected to hit the coast of New Hampshire at the exact same time as the race start- great. That’s the thing about running and racing. You can train and prepare for 12 weeks, like I did for the Hampton Rockfest Half-Marathon, controlling your nutrition, mileage, pace, sleep and wardrobe and then the one thing that’s out of your control- the weather- can come in and mess it all up. From then on out I learned the only thing you can do is trust in your training and hope for the best. I ran a 2:18:17 half-marathon that day, 18 minutes slower than what I had expected. 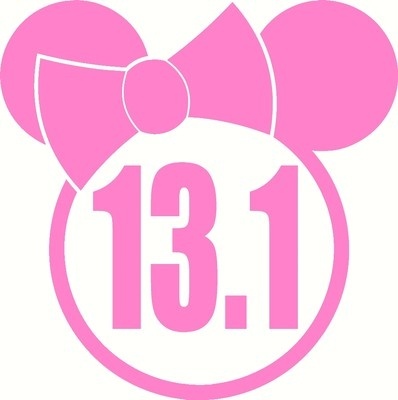 Now, I’m about to run the runDisney Half-Marathon next weekend and I’m feeling extremely confident. One co-worker thinks I’ll be able to go sub-2 but I’m trying not to get my hopes up. This is going to be my second half-marathon and I didn’t even follow a training plan. I’ve really only been training for this race for about a month and a half just by upping my long-run mileage on the weekends but I’m very confident in how I’ve been doing. My weekly mileage is the highest it’s ever been- logging 25-30 miles a week- and my paces are better than ever. While I don’t want to set any specific time goal for Disney, I have a number in mind and I’m pretty sure I can hit it, pending any extreme weather and the fact that the start time is 5:30 a.m. I’m really starting to look forward to the half and the entire runDisney Marathon Weekend with the Runner’s World Challenge. If I race well, great and if not, there’s always going to be another one. Next up on my taper madness ramblings… what to pack?! Don’t let you mind trick you. You can totally run a sub 2 hour! Thank you! I’m not going to aim for anything specific but I hope I can continue to run the paces I’ve been hitting during my training runs.